War has erupted across the Imperium! Four spacefaring races struggle for supremacy, launching fleets of starships across the galaxy to battle for control of the most prosperous systems. Only one race will successfully Expand, Explore, Exploit and Exterminate their way to victory! 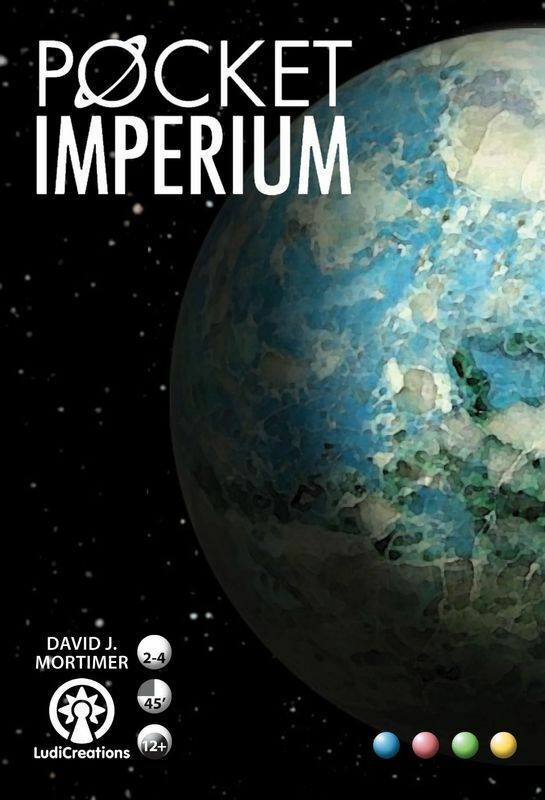 Pocket Imperium is a 4X microgame. Players will need to use the opportunities to expand, explore, exploit and exterminate to their best advantage. The timing of when to build fleets, when to explore the stars, and when to invade systems controlled by opponents will be crucial in their quest to rule the Imperium. What's more, in a crowded galaxy, players must choose wisely when to make alliances to bring down powerful enemies — and when to break those pacts to critically weaken their former allies!